To minimize effects on microclimates and human and wildlife habitats by reducing heat islands. Alternatively, an SRI and SR weighted average approach may be used to calculate compliance. Use any combination of the following strategies. Use the existing plant material or install plants that provide shade over paving areas (including playgrounds) on the site within 10 years of planting. Install vegetated planters. Plants must be in place at the time of occupancy permit and cannot include artificial turf. Provide shade with structures covered by energy generation systems, such as solar thermal collectors, photovoltaics, and wind turbines. Provide shade with architectural devices or structures. If the device or structure is a roof, it shall have an aged solar reflectance (SR) value of at least 0.28 as measured in accordance with ANSI/CRRC S100. If the device or structure is not a roof, or if aged solar reflectance information is not available, it shall have at installation an initial SR of at least 0.33 as measured in accordance with ANSI/CRRC S100. Provide shade with vegetated structures. Use paving materials with an initial solar reflectance (SR) value of at least 0.33. Use an open-grid pavement system (at least 50% unbound). Use roofing materials that have an aged SRI equal to or greater than the values in Table 1. If aged SRI is not available, the roofing material shall have an initial SRI equal to or greater than the values in Table 1. Roof area that consists of functional, usable spaces (such as helipads, recreation courts, and areas covered by equipment, solar panels, and appurtenances) may meet the requirements of nonroof measures. Install a vegetated roof using native or adapted plant species. Place a minimum of 75% of parking spaces under cover. Any roof used to shade or cover parking must (1) have a three-year aged SRI of at least 32 (if three-year aged value information is not available, use materials with an initial SRI of at least 39 at installation), (2) be a vegetated roof, or (3) be covered by energy generation systems, such as solar thermal collectors, photovoltaics, and wind turbines. 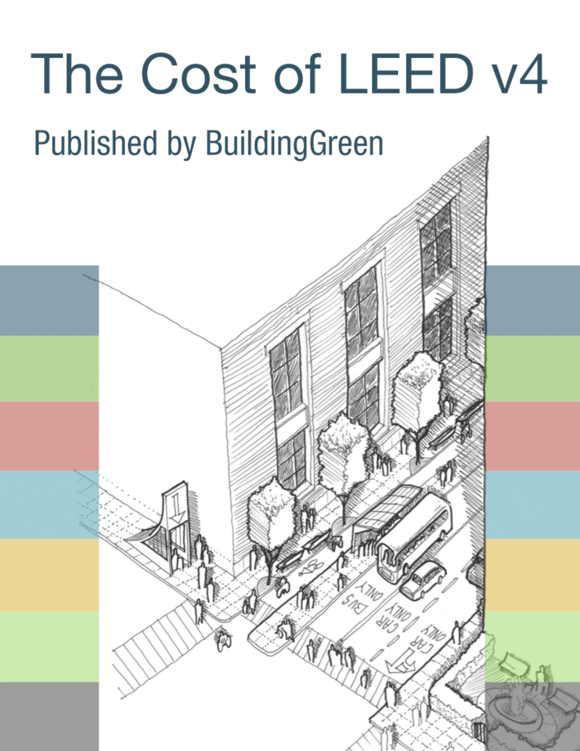 The credit calculations must include all existing and new off-street parking spaces that are leased or owned by the project, including parking that is outside the project boundary but is used by the project. On-street parking in public rights-of-way is excluded from these calculations.